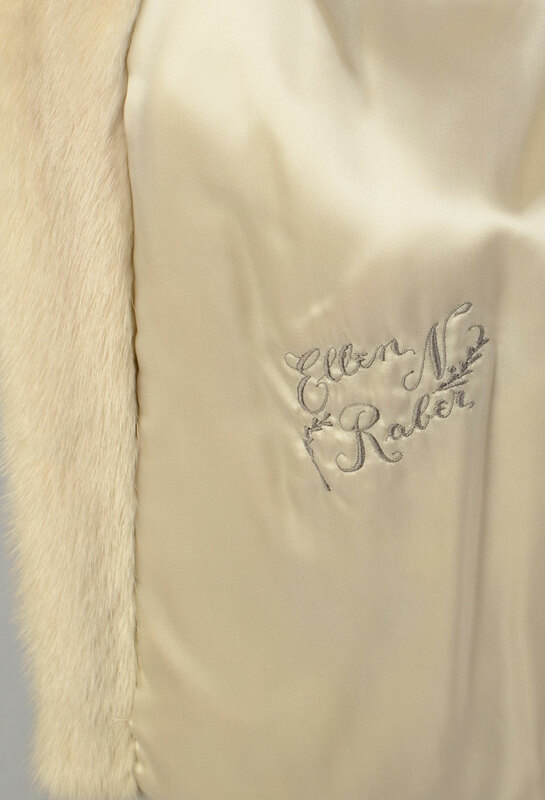 VINTAGE AZURE MINK JACKET: This off white colored mink jacket has hints of cream and grey. 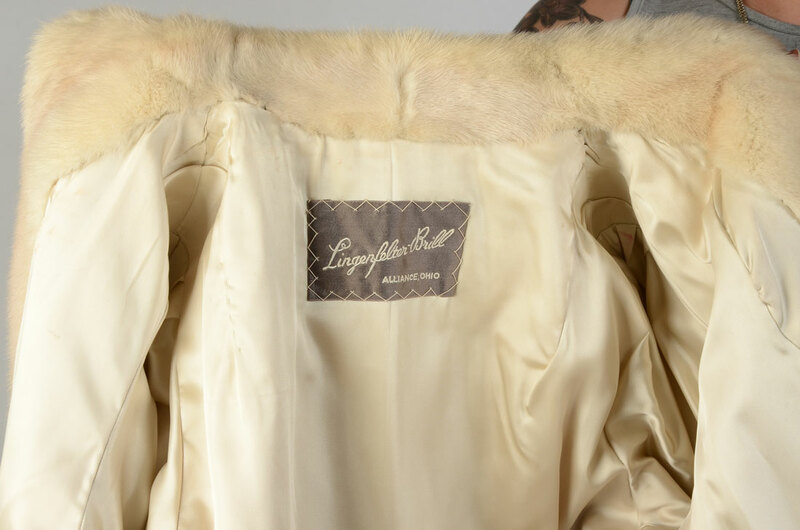 Labeled Lingenfelter-Brill, Alliance Ohio with a golden-cream colored lining with embroidered name. 3 hook and eye closures and 2 slit pockets. Approx size 6-8.